Sometimes papers are just so lovely you don't even want to cut into them. 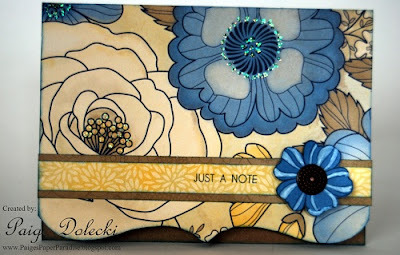 That is what inspired this card - I wanted a huge swath of the gorgeous flowered paper to be showcased. 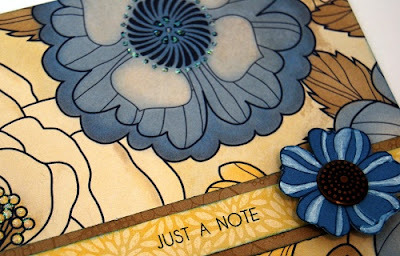 I simply added a few dots of Stardust Glitz Glitter Gel to accent the flowers and stamped one extra flower from the coordinating Card Word Puzzle set and a quick sentiment and voila'! Very pretty. Love the glitter.